With five properties under Tao Group’s cool canopy and a dream hotel above, Hollywood is having an unexpected resurgence. 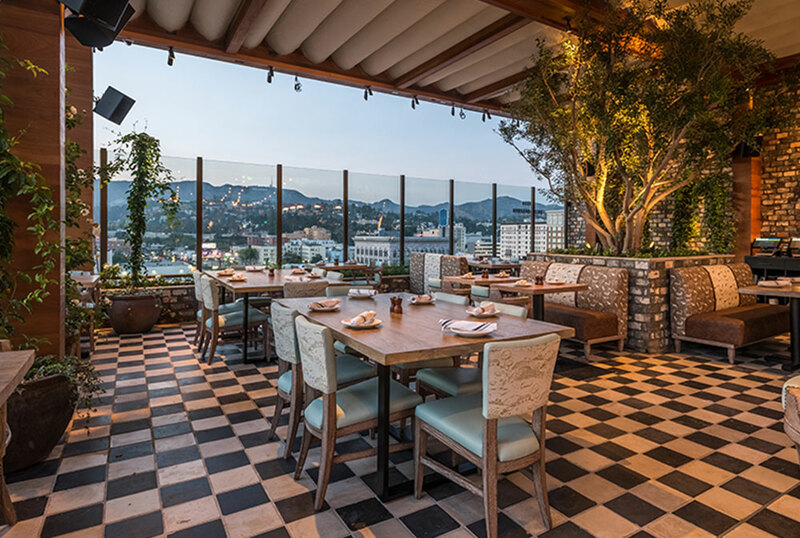 The 150,000-square-foot property, almost as big as a block of midtown Manhattan, is a new cornerstone for Tao Group, featuring the 300-seat Asian eatery Tao Los Angeles; a rooftop restaurant called the Highlight Room, with a lounge, pool, grill, and views all the way to the Hollywood sign; Beauty & Essex, a flexible dining space with a vintage pawn shop; a nightclub called Avenue—all designed by the award-winning Rockwell Group—as well as Luchini Pizzeria & Bar, designed by Studio Collective, for late-night eating, located conveniently near Avenue. All of the venues are accessible from a pebblestone street created to make the Tao world feel quite intimate, and it does. Ideally for Tao Group, guests will book rooms at the Dream Hollywood—whose interiors, designed by the Rockwell Group, pay homage to the city’s iconic Midcentury Modern architecture—and never have to leave the property, much like an experience in Las Vegas.